When we see celebrities walking the red carpet, some of them are glowing. With radiant skin and a perfectly sculpted figure, did they just happen to win the genetic lottery? Sure, we can contribute a lot of their effervescence to a team of professional makeup artists and personal trainers, but there are some things that even “normal” people are able to incorporate into our lives and feel healthier while doing so. Heck, we might be glowing by the end of these tips! Here are six celebrities that juice for all sorts of reasons and have had reaped amazing results. Looking at Salma Hayek, how old would you think she is? Late 30’s? Possibly 40? Try 50! With her killer figure and beautiful smooth skin, it seems like a miracle of modern science. What does she attribute to her success? According to various interviews, Hayek has been doing juice detoxes for over 15 years. When in need of rejuvenation, she does a 3-5 day detox of pressed raw juices. Queen Bee Beyonce is literally a perfect 10. It’s hard to believe she’s not an ethereal goddess, and instead merely human like the rest of us. It’s doubly hard to believe that she did a juice cleanse that helped her lose 20 pounds for her role in the movie Dreamgirls. Aptly named Master Cleanse, this cleanse is not for the faint of heart. It involves subsisting on nothing but a liquid diet of hot water, lemon juice, maple syrup and cayenne pepper for 10 days. Not convinced? Though the Master Cleanse was created in the 1940’s and has been proven to melt fat quickly, most people who try this cleanse immediately put back on the weight afterward. As effective as it is to quickly lose weight for an upcoming event, we don’t recommend it for sustained weight loss. 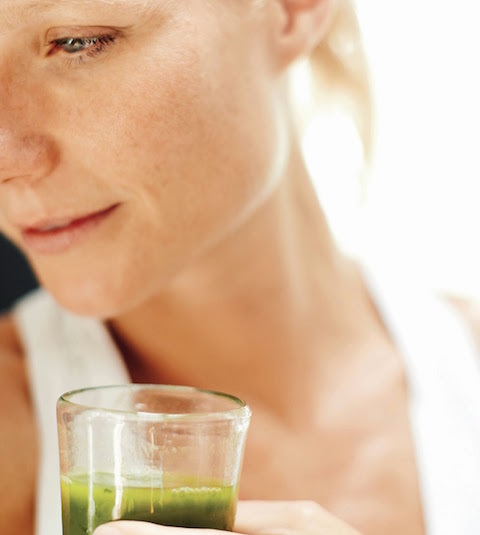 Instead, follow these tips on juicing for weight loss (without gaining it back). There are so many “hidden secret” detoxes, it’s hard to believe when a celebrity endorses one. 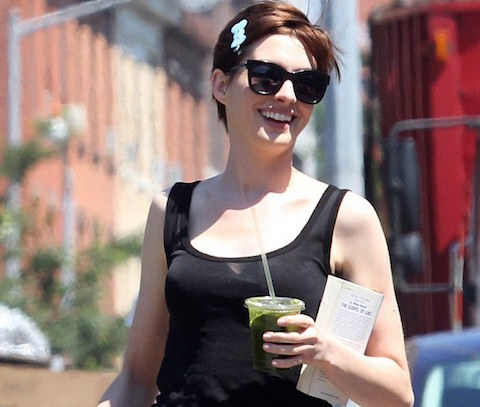 Anne Hathaway swears by the celebrity trainer David Kirsch’s 48 hour detox, where you drink his patented lemonade mixture 4 times a day for two days. These readymade juices are prepackaged and cold-pressed, thus becoming pretty darn expensive. You’d be spending on average 65 dollars a day for a three day period for a total of $195. The benefits? Not only is it really convenient, when they say it’s a deep cleanse, they mean it. Due to the fact that it is filled with 100% fruits and vegetables, the nutrient content is out of this world! The better news, of course, is that you can do this cleanse at home – just you, your juicer and a basket full of fresh fruits and veggies – for a fraction of the price. Many of the recipes are classic juice recipes like the Kale It Up which includes kale, apple, ginger, romaine, spinach, cucumber celery and parsley as well as the Beet Blast which contains beet, apple, carrot, lemon and ginger. If you’ve already got a juicer – there’s no reason to shell out close to $200 for a 3-day juice cleanse. 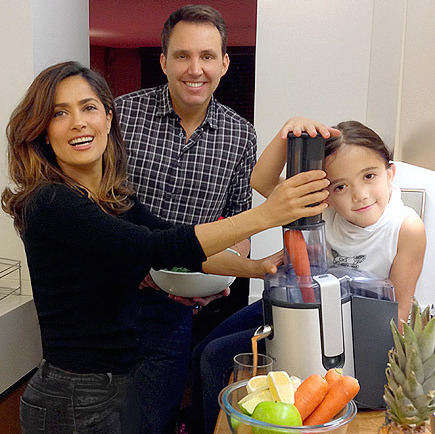 And if you don’t have a juicer yet – why not splurge on a fantastic slow juicer for $250 so you can do juice cleanses whenever you want? J-Lo goes through phases drinking something called “Green Juice” three times a day. Green Juice consists of kale, parsley and wheatgrass. This triple threat is used to help cleanse internal organs and drops weight fast, which isn’t surprising considering that kale is bursting with nutrients, parsley is very deep cleansing and that wheatgrass comes with benefits galore. As much as J-Lo was happy with her fast 15 pound weight loss due to the high content of health benefits, this concoction is not exactly delicious, we must warn you. If you want to go that route – dilute it with coconut water (or regular water) as well as a good dose of sweet fruits like apples, pears and watermelon. How could we forget the ultimate health guru herself, academy award winner and Goop founder, Gwyneth Paltrow? Not only does she tout dozens of cleanses and detoxes on her health and lifestyle blog Goop, but she personally does one called the 7 day Goop detox diet, created by Organic Avenue. This one involves creating your own pressed vegetable juices from scratch, and adds things like alkaline water, pHour salts, chlorophyll, aloe vera, and young Thai coconut milk in, for starters. These unusual ingredients can add up pretty quickly and are hard to find in your average grocery store, but unlike other liquid detoxes this one has a lot of variety with soups, and you’re allowed to eat salad for one meal a day. Within seven days, people have said to feel less bloated and have glowing, healthy skin. Every celebrity has their own tricks of the trade to remain healthy and radiant for the public. Not only is it a lot of pressure, but it’s in their job description! Sadly, a lot of these cleanses cost some mega bucks to do long term, however many people are able to substitute ingredients for a more “realistic” juice cleanse. For instance, instead of using young thai coconut milk, you can use just plain coconut milk which is available in most grocery stores. 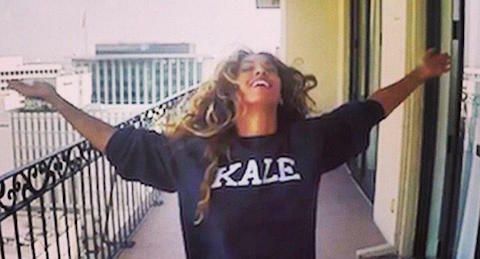 Juice detoxes under the right circumstances are a healthy jumpstart to whatever weight loss or lifestyle goals you’ve created for yourself, and these celebs are quite the inspiration!